[S105] The Callaway Journal, vol. 19, p. 34 (1994) (naming George Clinton Callaway as her father). [S105] The Callaway Journal, vol. 19, p. 34 (1994) (naming Rachel Wilkerson as her mother). [S105] The Callaway Journal, vol. 19, p. 34 (1994). [S105] The Callaway Journal, vol. 19, p. 34 (1994) (naming George Clinton Callaway as his father). [S105] The Callaway Journal, vol. 19, p. 34 (1994) (naming Rachel Wilkerson as his mother). [S11] Index to Texas Death Records (Austin, Tex. : Tex. Dept. of Health, Bur. of Vital Statistics), typescript, 1962, vol. 2, p. 853, file 21805. [S312] Social Security Death Index, online at http://tinyurl.com/AncestrySSDI, viewed on 2 Mar 1998 (stating that he died in Jan 1966; not naming the place of death but stating that he lived in Dallas, Texas when he died). [S11] Index to Texas Death Records (Austin, Tex. : Tex. Dept. of Health, Bur. of Vital Statistics), typescript, 1966, vol. 1, p. 206, file 8161. Marriage*: He married Virginia Orange Swindell. [S105] The Callaway Journal, vol. 19, p. 35 (1994) (naming Stephen White Callaway as his father). [S105] The Callaway Journal, vol. 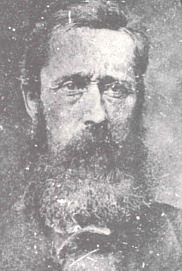 19, p. 35 (1994) (including his picture and naming Joseph Bryan Callaway as his father). Marriage*: She married Joseph Bryan Callaway, son of Stephen White Callaway. [S105] The Callaway Journal, vol. 19, p. 35 (1994) (naming Virginia Orange Swindell as his mother). [S105] The Callaway Journal, vol. 19, p. 35 (1994). [S105] The Callaway Journal, vol. 19, p. 35 (1994) (including his picture and naming William Stephen Callaway as his father). [S105] The Callaway Journal, vol. 19, p. 35 (1994) (naming Mary Jane Stewart as his mother). [S1032] The Callaway Family Association CFANET e-Newsletter, Sep 2005 (naming Omar Warren Callaway as his father and attributing information to U.S. census). [S105] The Callaway Journal, vol. 19, p. 29 (1994) (naming Omar Warren Callaway as her father). [S1032] The Callaway Family Association CFANET e-Newsletter, Sep 2005 (naming Omar Warren Callaway as her father). [S105] The Callaway Journal, vol. 19, p. 29 (1994). [S312] Social Security Death Index, online at http://tinyurl.com/AncestrySSDI, viewed on 23 Feb 1998 (giving only the date). [S312] Social Security Death Index, online at http://tinyurl.com/AncestrySSDI, viewed on 23 Feb 1998 (not naming the place of death but stating that she lived in Sun City, Arizona when she died). [S105] The Callaway Journal, vol. 19, p. 29 (1994) (naming Audrey Urcel Mary May Callaway Eitel as her mother). [S105] The Callaway Journal, vol. 19, p. 32 (1994) (including his photograph and naming Stephen White Callaway as his father). [S105] The Callaway Journal, vol. 19, p. 32 (1994) (naming Mrs. Lydia (Logan) Bryan as his mother). [S105] The Callaway Journal, vol. 19, p. 32 (1994) (naming Edward Marion Callaway as her father). [S105] The Callaway Journal, vol. 19, p. 32 (1994) (including his photograph and naming Edward Marion Callaway as his father). [S105] The Callaway Journal, vol. 19, p. 32 (1994) (naming Edward Marion Callaway as his father). [S105] The Callaway Journal, vol. 19, p. 32 (1994) (naming Jane Clinkenbeard as her mother). [S105] The Callaway Journal, vol. 19, p. 32 (1994) (naming Simon W. Talburt (or Talbot) as her father). [S105] The Callaway Journal, vol. 19, p. 32 (1994) (naming Mary Talburt as his mother). [S105] The Callaway Journal, vol. 19, p. 32 (1994) (naming Simon W. Talbert [sic] as his father). [S105] The Callaway Journal, vol. 19, p. 32 (1994) (stating that he probably was born in Baxter County). [S105] The Callaway Journal, vol. 19, p. 32 (1994) (naming Walter M. Talbert [sic] as her father). [S105] The Callaway Journal, vol. 19, p. 32 (1994) (naming Susan Talburt as her mother). [S105] The Callaway Journal, vol. 19, p. 32 (1994) (naming Susan Talburt as his mother). Marriage*: She married Simon W. Talburt. Marriage*: She married Walter M. Talburt, son of Simon W. Talburt and _____ _____. [S105] The Callaway Journal, vol. 19, p. 32 (1994) (stating that she was born in Baxter Co., Ark. in 1884). [S312] Social Security Death Index, online at http://tinyurl.com/AncestrySSDI, viewed on 22 Sep 2001 (giving only the month and year).